This is the voice and story of one person from Burma. Spoken in freedom. Without fear of harrassment. As stories should be told. Inside Burma, however, many voices cannot speak. This does not mean Burmese people have no voice. Or no opinion. Or nothing to say. There are a lot of stories. 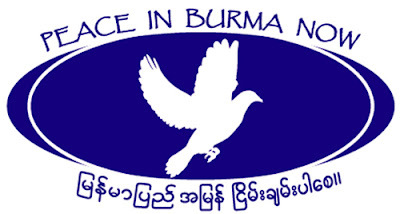 Project Burma Voices collects voices, opinions and views from Burmese people. Spoken in liberty. Screaming out. To the world. To be heard. We will keep you updated. www.burmavoices.com will be launched soon. With many more stories. Ashin Kovida’s story is one of them. 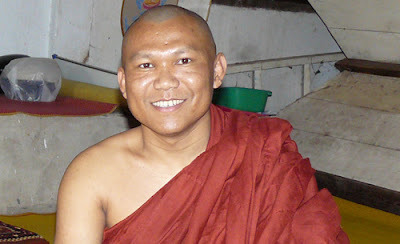 Burmese monk Ashin Kovida was born in 1973 in Magwe Division, close to Sidoktaya Township. This is his story. Told at the end of February 2010 in Mae Sot, Thailand. The Burmese monks are known for their non-violent struggle for peace and democracy. This struggle has been going on for decades and so far, change is not in sight. What is Ashin Kovida’s opinion on the non-violent approach? Ashin Kovida then brings in a few of his own subjects to talk about.